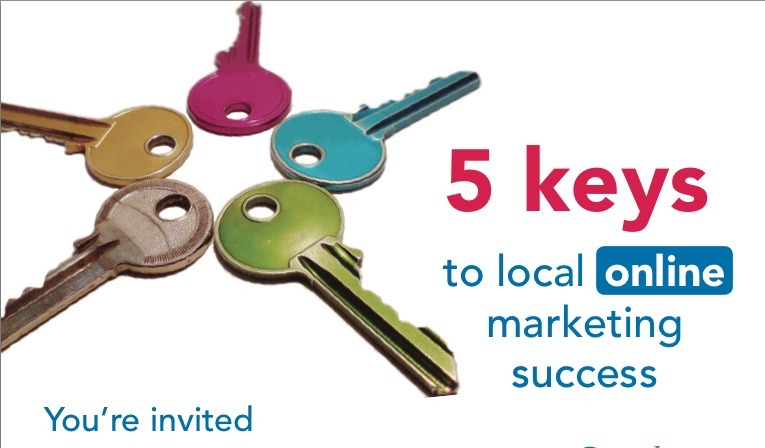 You’re invited to c￼￼￼￼ome learn more about how customers are looking for local businesses online. Please join us for a complimentary lunch and presentation about Local Search optimization. ￼￼￼￼ Upcoming presentations 9/12/12, The Carlton Hotel, Atascadero 9/26/12, Collaboration LLC, SLO The workshops are at noon. ￼￼￼￼￼￼￼￼￼￼￼￼￼￼￼￼￼￼Seating is limited. Please RSVP. Register here or email representative Paul Shannon at paul@accesspublishing.com, or call for an appointment: (805) 226-9890. We can help get your business found online!